Last spring I spotted these Chooka rain boots at TJ Maxx, and after waffling a bit, I decided that for $20 they should be mine. They are a little "out there" for me, but I thought I would enjoy having them to wear when I walked Maid Marian on rainy days. 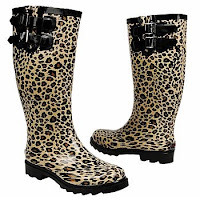 So far this week, it's rained four inches, and I have worn these boots plenty. Making my find all the sweeter was seeing them at Nordstrom's for $80. Woohoo. 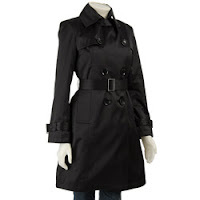 Now, I just need to find a black trench coat to complete my rainy day ensemble. After all, I already have my NYC Salvation Army umbrella!